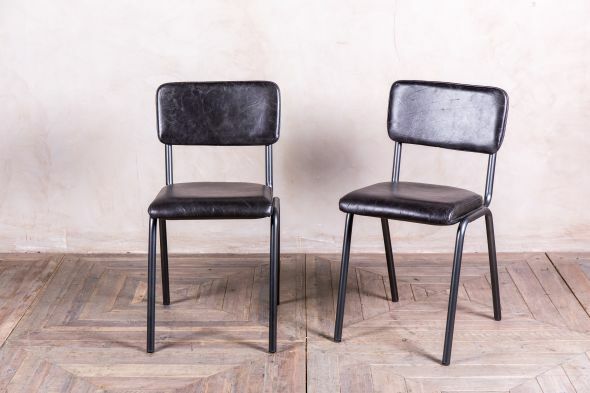 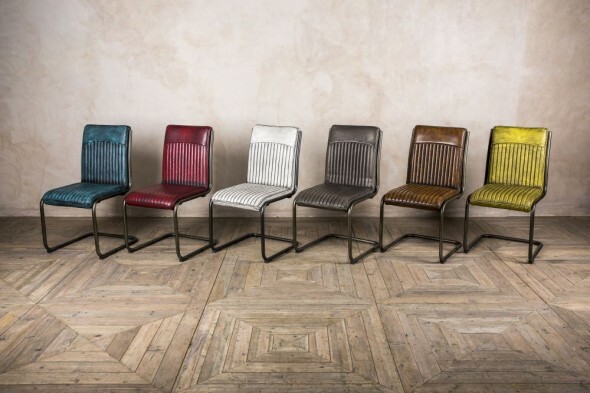 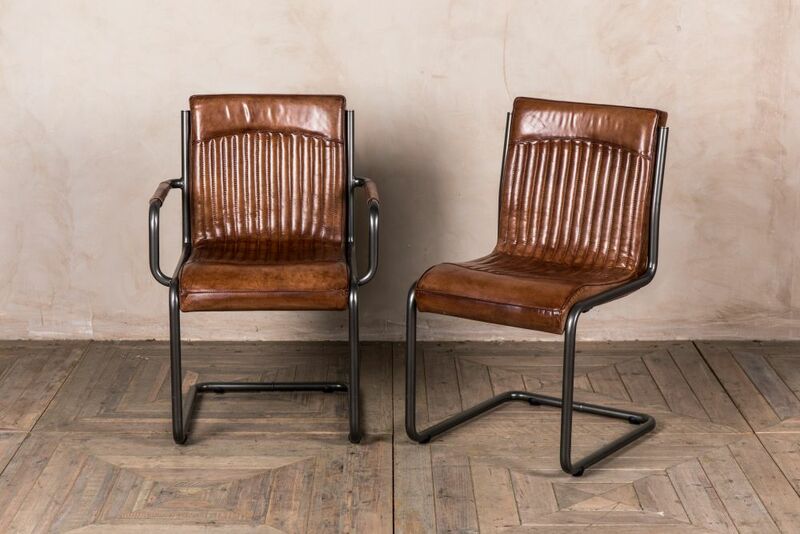 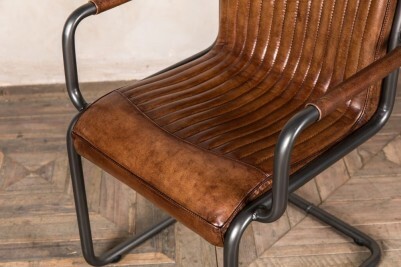 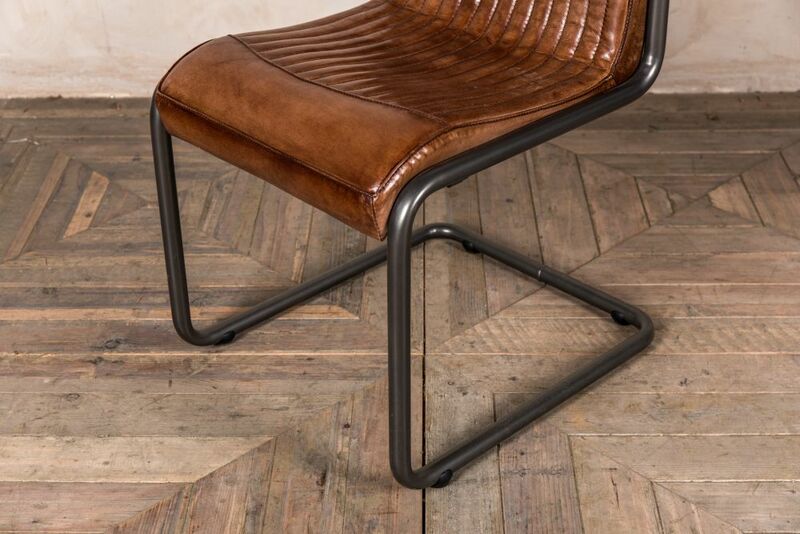 These contemporary leather dining room chairs are a stylish arrival to our vintage inspired seating range. 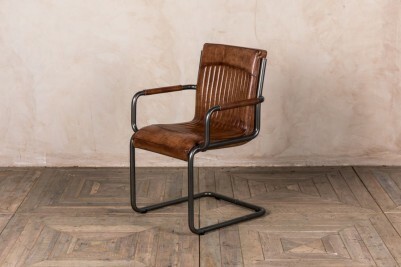 An extremely versatile chair, the ‘Newbury’ carver could be used as a single armchair in a living room, office or study. Equally, the carver chair could be purchased along with the side chair in sets, and would suit a kitchen, dining room, bar or restaurant. 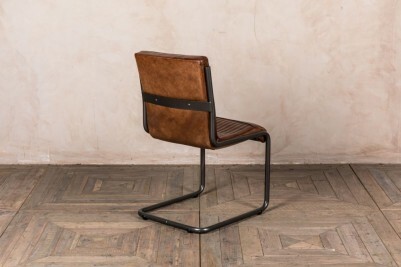 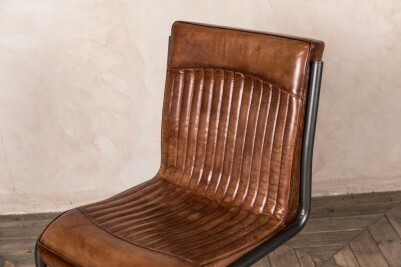 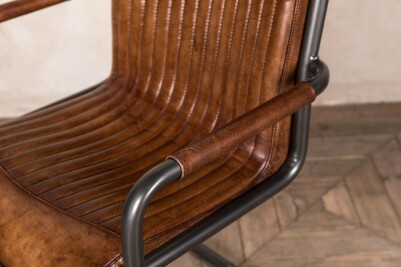 This chair has a comfortable and stylish design; it features a tan leather upholstery and has an unusual square frame. 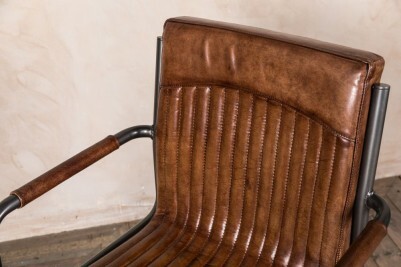 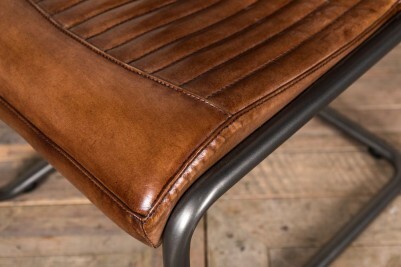 As you can see, the leather has an aged and distressed finish, which would suit any vintage or industrial inspired property. 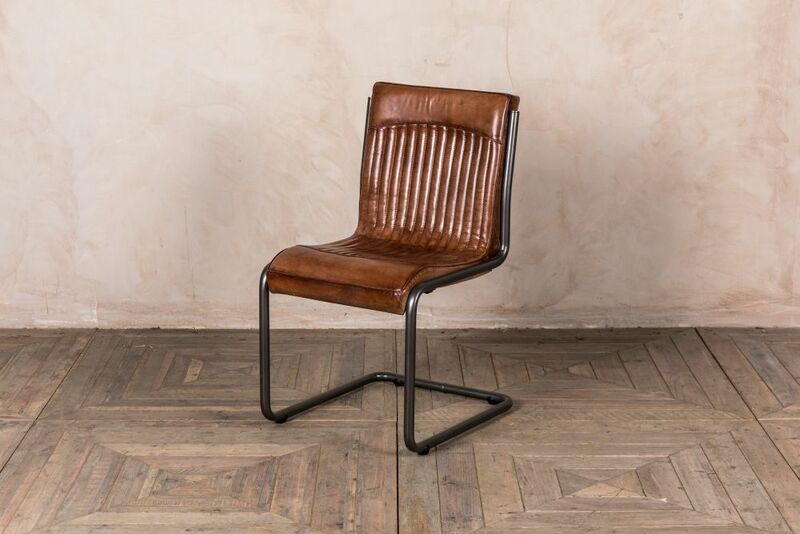 You could pair this chair with one of our dining tables, or its tan leather seat and gunmetal frame could easily complement existing furniture. This leather dining room chair meets crib 5 regulations and requirements, and certificates are available on request. 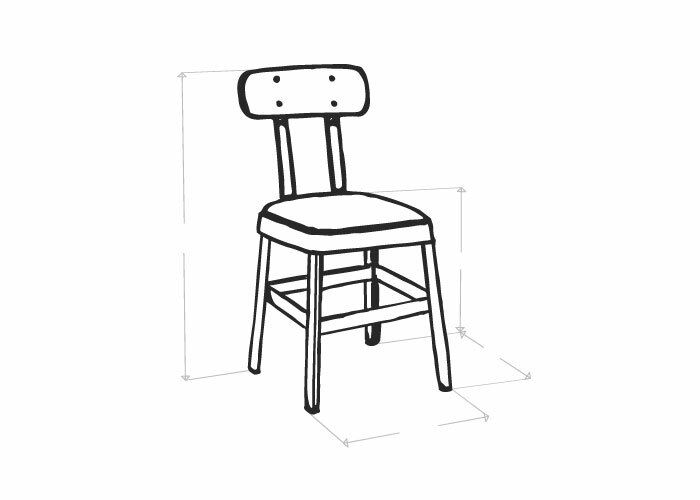 The price is for one chair, but we do have more in stock. 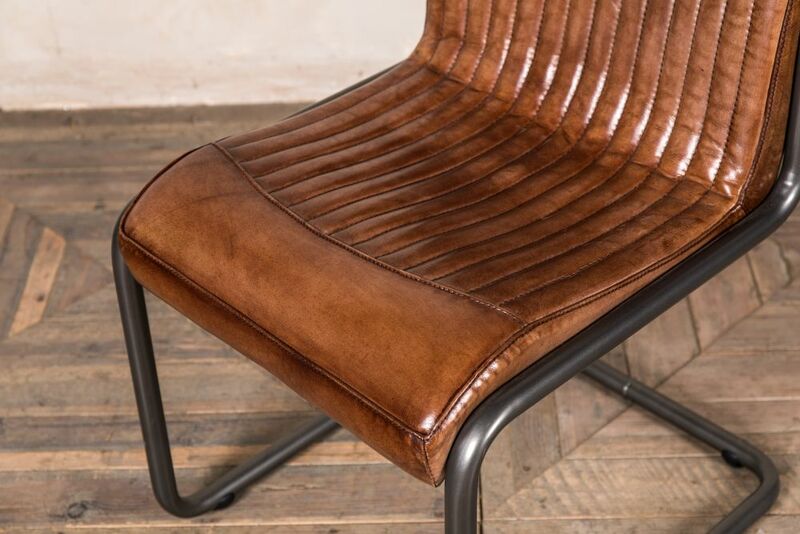 You can see our full collection of leather chairs by browsing our website, or you can visit our showroom in Staffordshire. Please note: this item is crafted from 100% natural buffalo leather and will therefore have slight scarring, marks and blemishes – this is characteristic of a natural material.